Husband is limiting his cholesterol intake. Our children, however, love the taste of meat in almost all dishes. Cooking separate meal for them can be tiresome. Good thing there is PORKSAVOR. PORKSAVOR All-in-One Seasoning Mix provides meaty taste and aroma for all types of dishes. 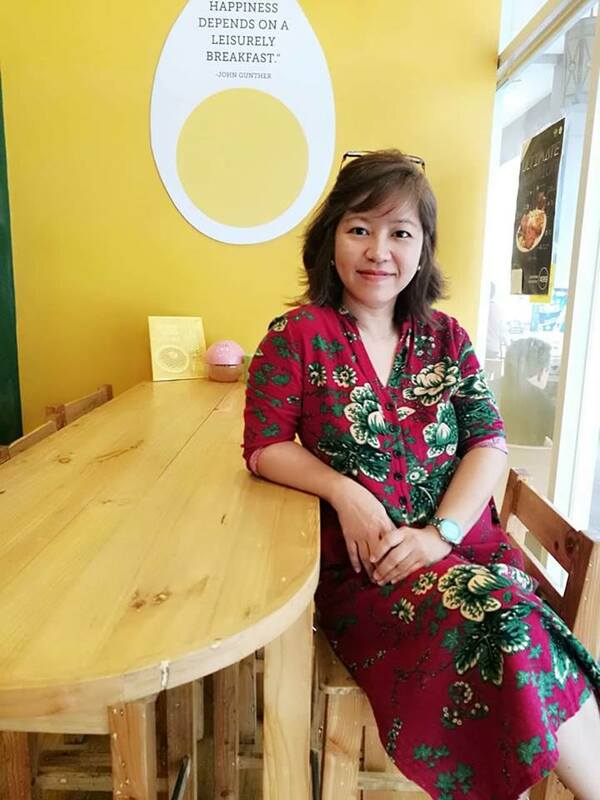 It is made from natural pork meat and bone extract complete with spices and seasonings, thus, can provide the meaty taste even in meatless meal. And true enough, when we attended the media activity Ajinomoto Philippines Corporation organized recently, the show kitchen of the Center for Culinary Arts was filled with the delicious meaty aroma from the dishes cooked for and sampled by the guests. 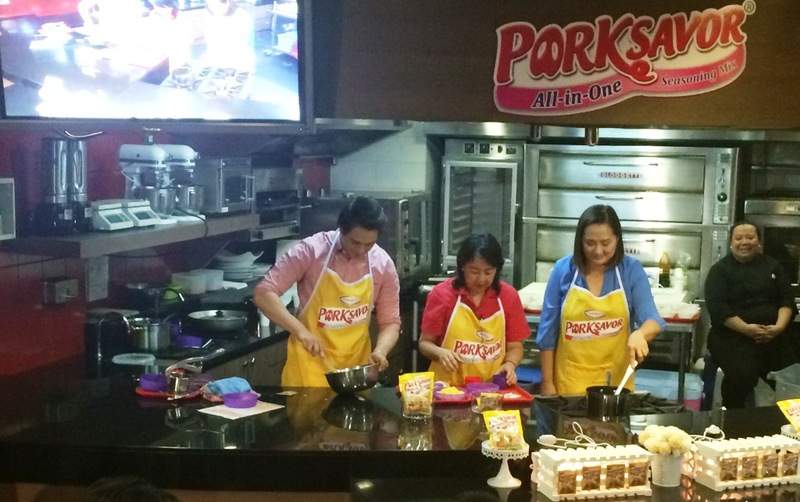 The Adobo Queen Ms. Nancy Reyes-Lumen, together with the new PORKSAVOR brand ambassadors Enrique and his mother Bambi Gil, conducted live cooking demonstrations at the show kitchen of CCA. 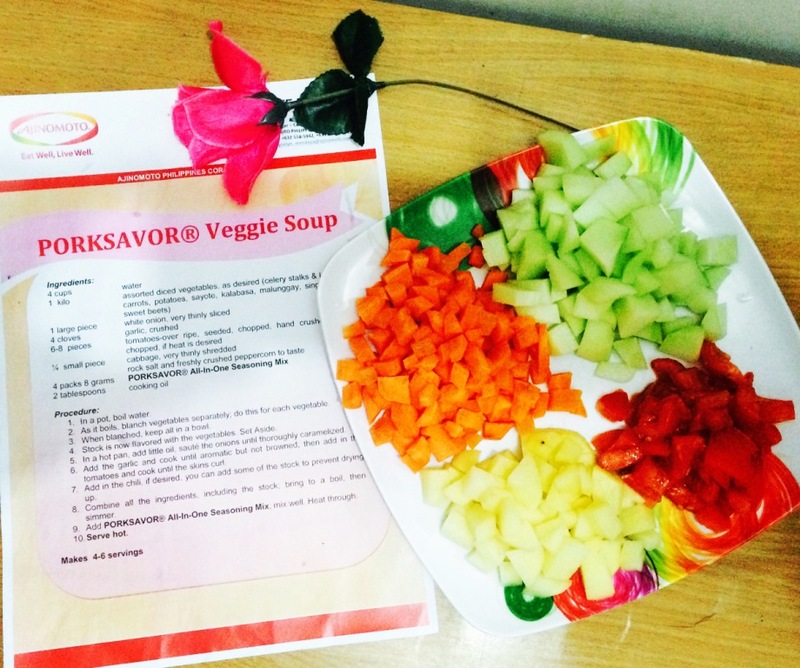 The activity showcased how homemakers can step up their cooking and bring out the meaty goodness of home-cooked dishes using PORKSAVOR. A few of the quick and easy yet flavorful meals prepared by the awesome trio were pancit, mashed potato, veggie soup and pastel. 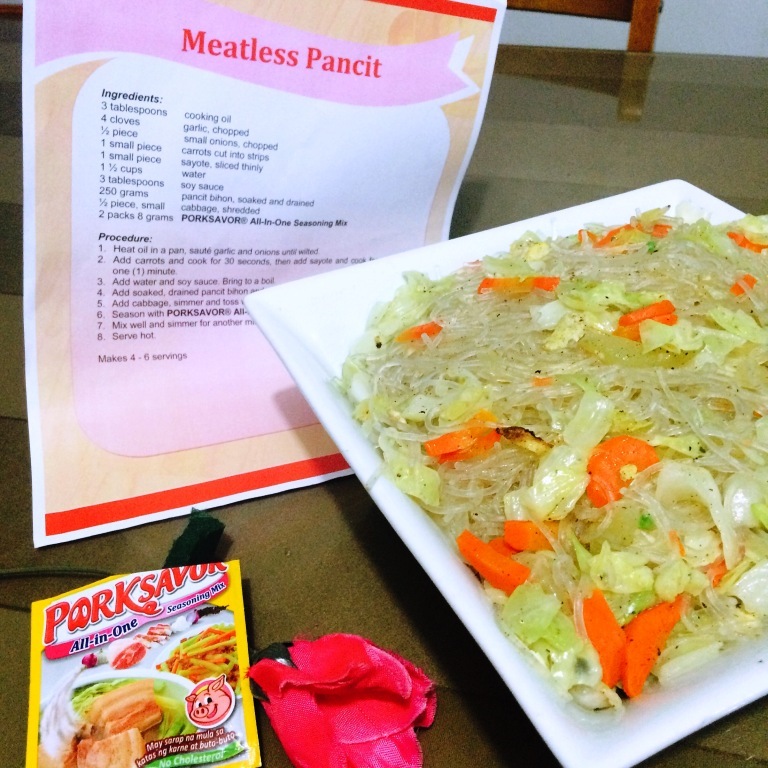 The pancit is a great fiber snack for those limiting their cholesterol intake. The veggie soup and pastel are perfect to perk up one’s morning, whether it is a bright sunny day or a gloomy cloudy one. The mashed potato, on the other hand, is perfect to be paired with the pastel or even be served with some breastmilk to babies (as they are rich in carbohydrates and are a big help in healthy weight gaining on babies). Watching the mother and son tandem prepare and cook that day was a delight. 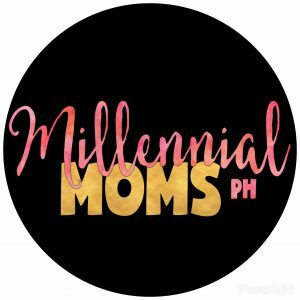 Everyone would see how Mommy Bambi loves to cook for her three children and how Enrique appreciates the dishes prepared by his mom. He disclosed his favorite is his mom’s callos. 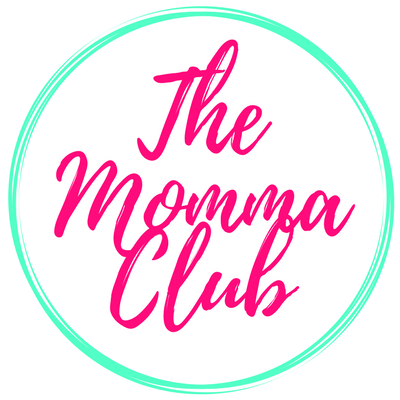 And with PORKSAVOR, Mommy Bambi can all the more make cooking truly enjoyable. 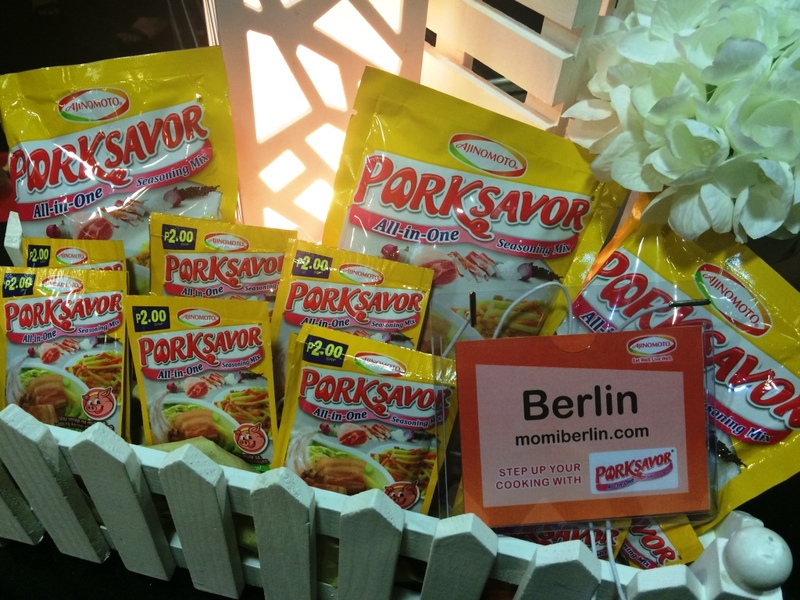 So for this momi, she is all ready to step up her cooking with PORKSAVOR. She learned a few new recipes to even step up further her usual pambaon ideas. 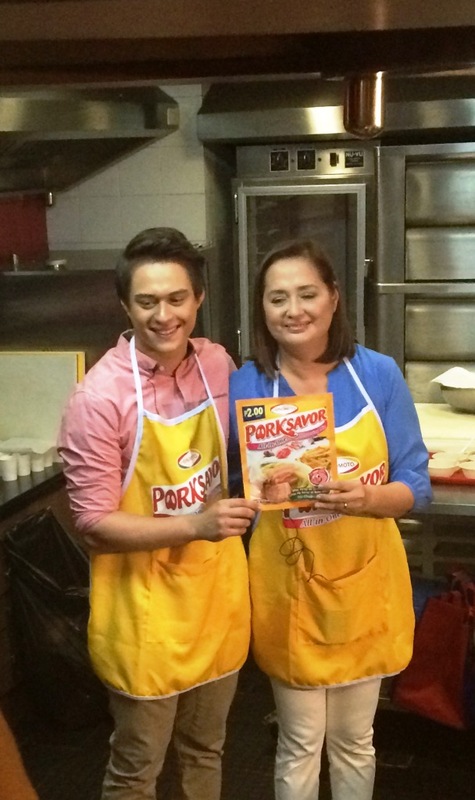 And she is all excited to prepare some meaty breakfast for her boys and fill their lunch boxes with meatier baon. By the way, my Big Bunso said my PORKSAVOR meaty pancit was flavorful. 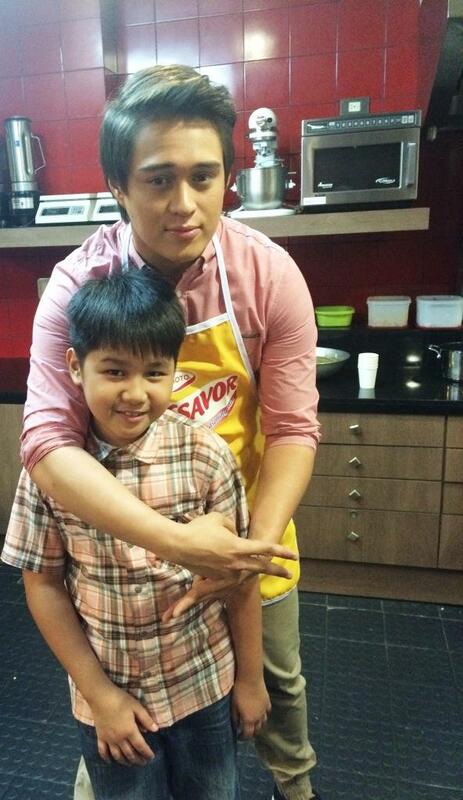 And before he left for school this morning, he showed to his two other kuyas and papa his photo with Enrique Gil. APC’s complete line of quality food and seasoning products are produced by international affiliates and local toll manufacturers using Ajinomoto’s license, quality standards and technological expertise. It carries well-loved consumer products like AJI-NO-MOTO® Umami Seasoning, Ajinomoto® Brand Ginisa Flavor Seasoning Mix, Ajinomoto® Brand Chicken Powder, PORKSAVOR® All-in-One Seasoning Mix, CRISPY FRY® Breading Mix, CRISPY FRY® Seasoned Crumbs, TASTY BOY® All Purpose Breading Mix, AJI-SHIO® Seasoning Mix and “amino Fres-C” Instant Drink Mix. I have been wanting to try this but haven’t seen one in the local markets yet. We had our grocery this afternoon and sadly, we didnt find any as well. 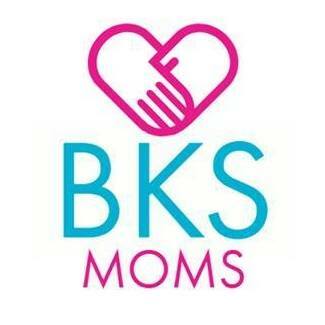 Hope they be able to display and offer it in sari sari stores and supermarkets. Yey! Love pancit as well. But between pancit and spaghetti, the boys like the latter. But with this pancit, they ate in zest as in!